Orlando Film Festival Executive Director Daniel E. Springen announces the best documentary nominees. 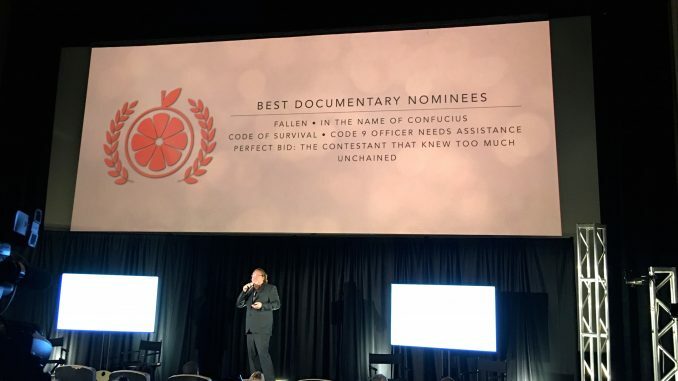 We were very happy that In the Name of Confucius was nominated for the “Best Documentary” and the “Social Awareness” awards at the 2017 Orlando Film Festival last week. 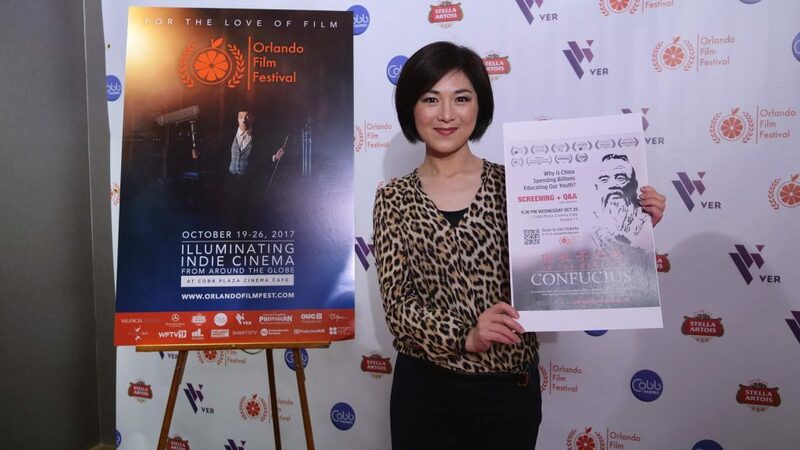 In the Name of Confucius had a successful Floridan premiere at the festival on October 25 and an additional showing on the 26th as one of the “Best of the Fest” films chosen by the festival. 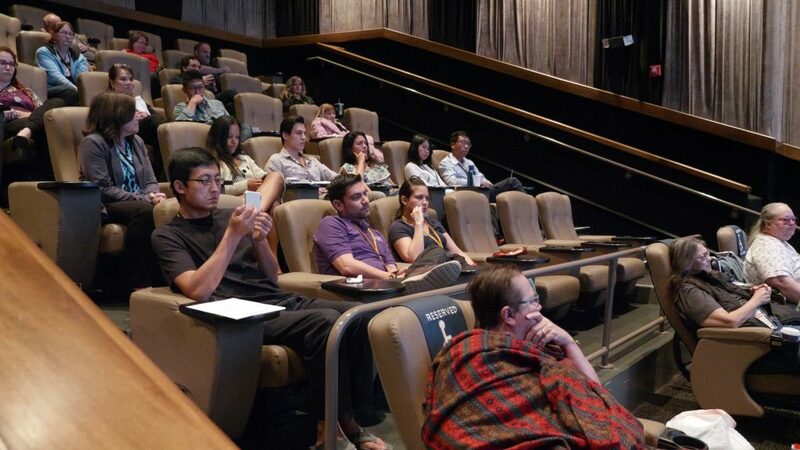 Director Doris Liu attended the screenings and the following Q&A. Audiences found the film both informative and entertaining. They thanked us for bringing this important issue of Confucius Institute controversies to their awareness. We thank the festival organizers and volunteers, our friends and volunteers, and director Doris Liu who made this possible.